No matter how big or small you are, whether you have budget or not – you need to be monitoring changes in Active Directory. 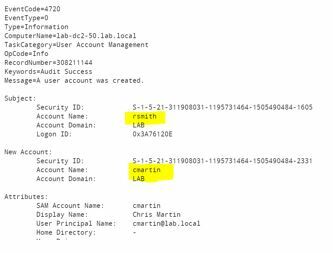 The Windows Security Log and Active Directory auditing faithfully log a cryptic and noisy trail of security significant changes made anywhere in Active Directory. But there's no good way to report or visualize this data. to give you easy but powerful visualization of security signicant changes in Active Directory with the power of Splunk Free while staying under the Splunk's 500mb per day limit. Filter out the noise and collect only those events from each domain controller's security log that represent significant security change. This is usually less than 0.1% of the log. We do this with a managed security log filter that comes with Supercharger for Windows Event Colllection which is free for use with manange domain controllers. Collect these change events from each domain controller to one central server. No agents to install. No remote collection. No credentials or holes to open in Windows Firewall - WEC is zero touch. And when you install a domain controller, it automatically begins sending events. That's the beauty of native Windows Event Collection managed by Supercharger. 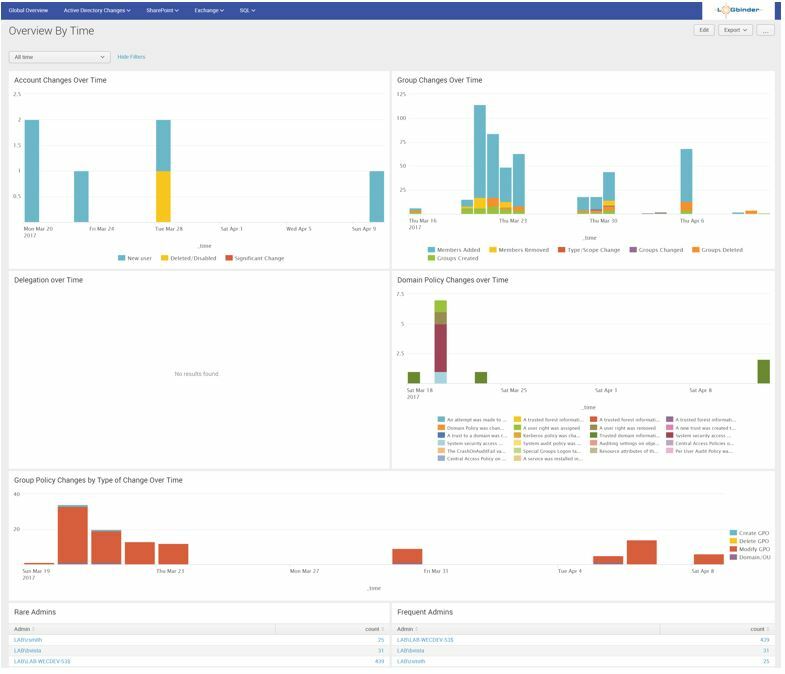 Once WEC delivers these events to Splunk, our LOGbinder for Splunk App leverages our deep experience with the Windows Security Log to refine the raw and cryptic logs into easy to understand dashboards that help you zero in on the important changes in AD, who made them and when. Too often Splunk Apps are lopsided. Apps are either written by someone who knows Splunk but is not an expert in the particular logs the app pertains to. Or the author is a subject matter expert in the logs being analyzed but isn't a Splunk expert. This leads to predictable results. 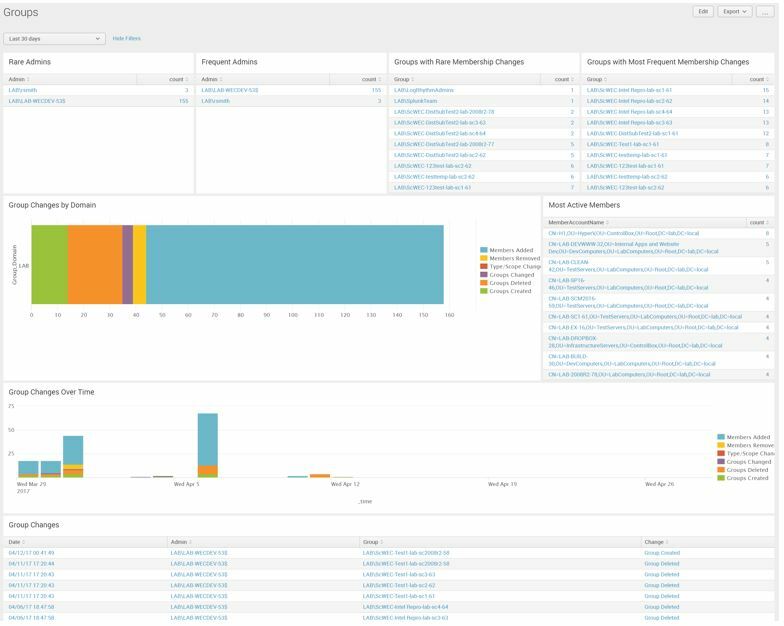 Our Splunk App for LOGbinder is a collaboration between security log SME Randy Franklin Smith and talented Splunk engineers that uses advance features of Splunk to do more than just filter raw events. Knowledgeable Splunk engineers may wonder if the app depends on "index time" parsing. And the answer is “no”. We do it the right way with search time fields extractions. So the app works on old events already indexed and more importantly doesn't impact indexing. We tried to do this right. Plus, we made sure this app works whether you consume events directly from the Security log on each computer or via Windows Event Collection (which is what we recommend with the help of Supercharger).